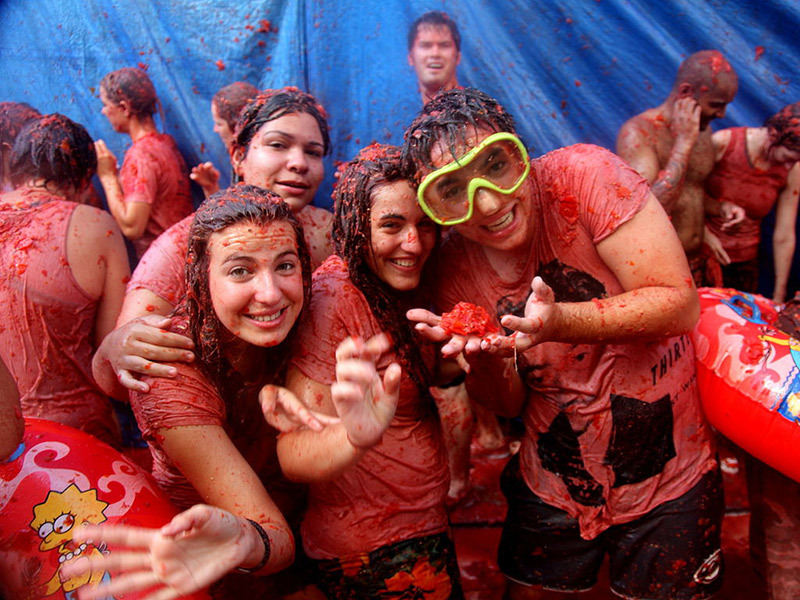 The sight of flying red fruit is just the start in one of Spain’s most unusual festivals, La Tomatina, the time when thousands of people travel from all over the world to throw over-ripe tomatoes at one another. It’s known as the world’s biggest food fight. It’s held on the last Wednesday of August in the town of Brunol, close to the city of Valencia. Each year more and more people join in this unusual tradition, between 40,000 and 50,000 each year, which far surpasses the 9,000 people who live in Brunol. The day normally starts at around 11 am, with trucks hauling tomatoes to the centre of town, Plaza del Pueblo. You can start throwing the ripened fruit once the water cannon is fired into the air and the chaos will begin. This year take to the streets of Madrid for the 40th anniversary of the LGBT parade in Spain with music, dance, theatre and poetry. 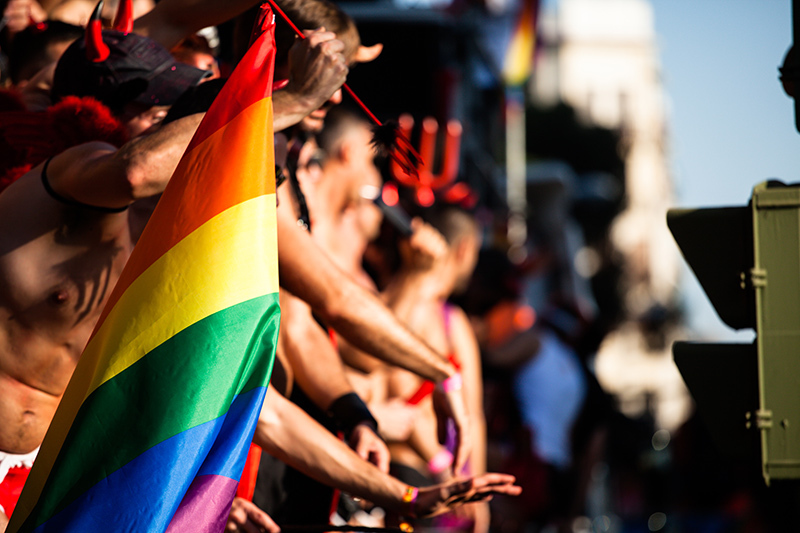 Madrid loves to celebrate with live, pulse-pounding passion, and the streets will be filled with people enjoying the 2017 pride parade. It’ll be hard not to join in. A specially designed location called “WorldPride Park” will be set to host vendors, LGBT and human rights worldwide associations. 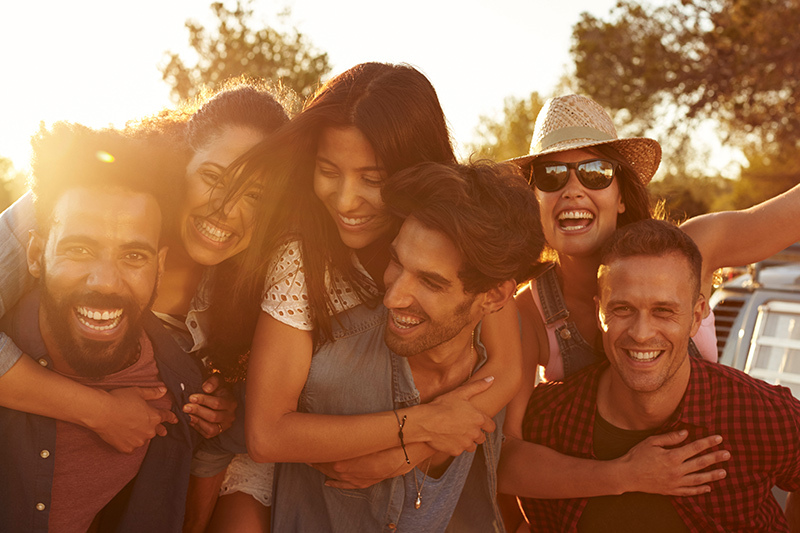 WorldPride Park gives them the opportunity to connect with a large and diverse crowd from around the world. A community space open to everyone. And of course, the best part of the day the Pride Parade, WorldPride Madrid 2017, will take place in downtown Madrid with over three million attendees expected. Barcelona’s traditional and most colourful street festival welcomes everyone, from all corners of the world to join in the fun at Festa Major de Gracia. 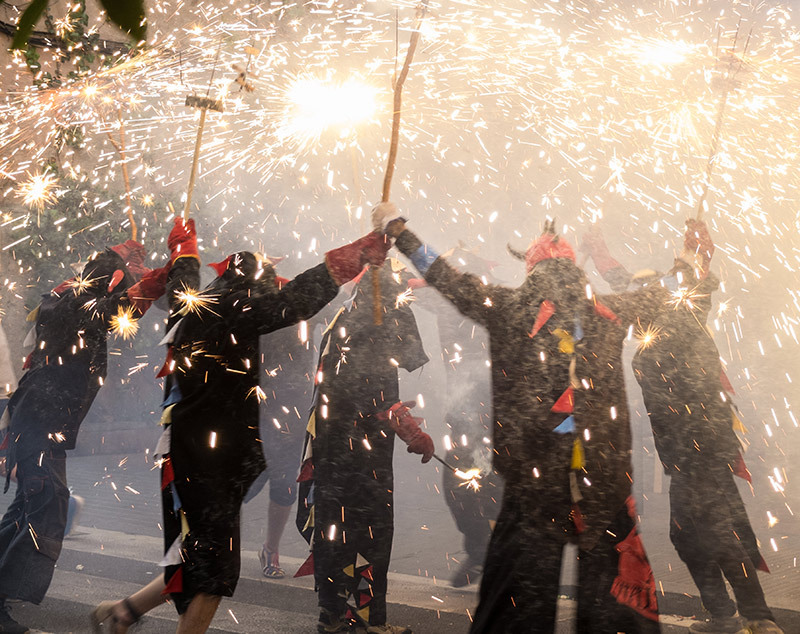 The Gracia Festival is considered by many to be Barcelona’s best street festival. It takes place in the Gracia neighbourhood of Barcelona which is located 20 minutes on foot from the city centre in the direction of the hills to the north west of Barcelona. Don't forget to download the new Clickstay magazine, available from the 25th June 2017, for discounts from properties in mainland Spain, interviews, inspirations and more. Just signup to the newsletter before the 24th and we'll send you a downloadable copy.